Yesterday, Sitecore announced their MVP Awards for 2018 awards, and I think you would be happy to know, that I have been awarded as Sitecore MVP this year. 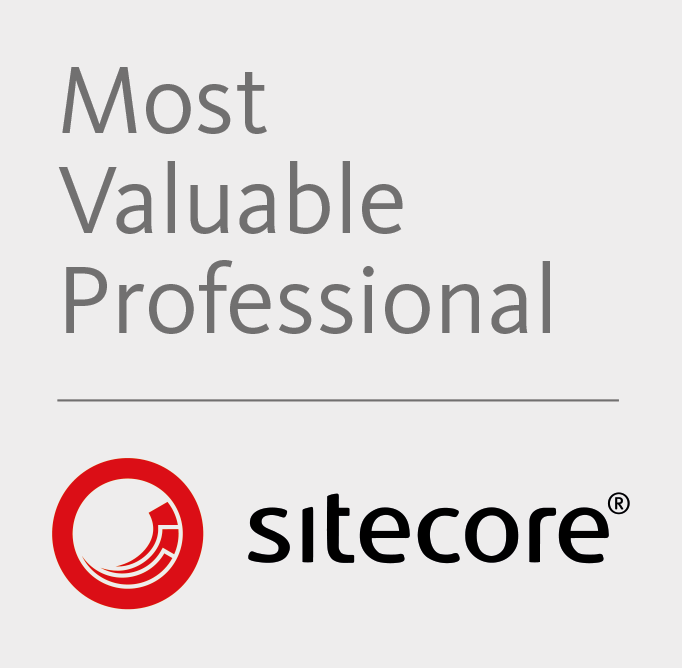 I want to express my sincere appreciation and thanks to Sitecore for awarding me Technology Most Valuable Professional. It means a lot to me! Thanks to Azadeh Khojandi, James Hirka, Mike Bray, Nick Jones, Richard Hauer, Michael Reynolds, Steve Nelson who always supports and encourages me. This list is by no means a complete, and without you this wouldn’t happen. Also, I would like to thank all of Sitecore MVPs who nominated me and Sitecore judges who chose me from the list of nominees and I am truly humbled and honoured to receive it. A big thanks to the Sitecore community, thanks for reading the posts, commenting on it, following the blogs, listening the presentation, giving feedback and in the end, encouraging me to do more for the community. So, thank you! Its a huge honour and privilege to get this award and I'm looking forward to an exciting year with Sitecore! And I promise I would do more and try to help the community as much as possible. Finally, I would like to congratulate to all of you who has been named as MVP in 2018.